MoboMarket is a third Party Application, Has a Number of mind blowing apps, which you may not find in Play Store and along with this. It has many more features, which you will surely love to have in your Android smartphone. 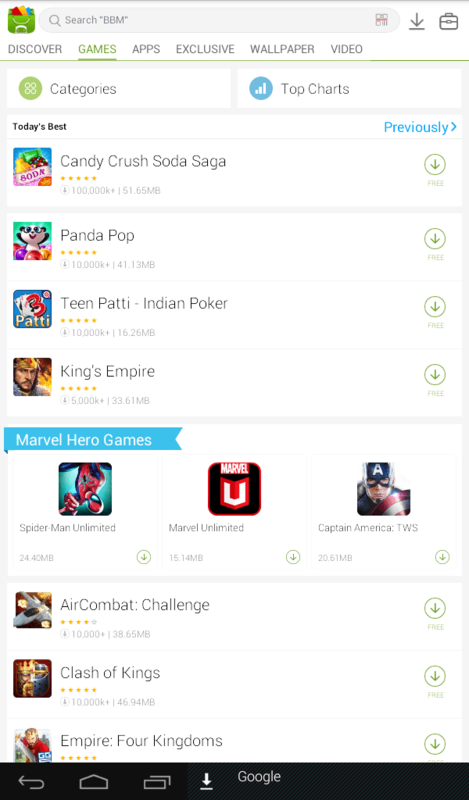 What Makes MoboMarket Better than Google Play Store? Easy, More Elegant user-interface and One Click Hassle free Downloads + No Registrations. 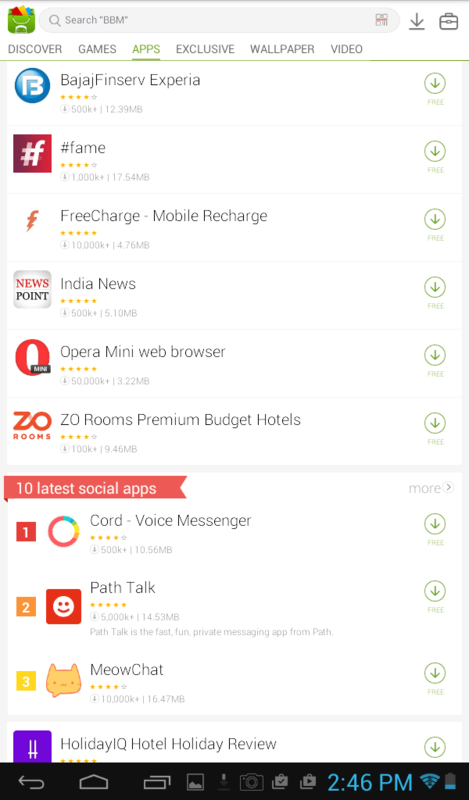 Download Apps from Daily Trending List (updated on a daily basis). Interest Based Apps Recommendation System makes MoboMarket, my favorite. It also works as Ram Booster and Memory Optimizer by killing unwanted processes running. You can also transfer Apps that are installed in your Phone’s Internet Memory to SD Card memory. It also clears memory by deleting the Junk files, which are not needed in your Smartphone. Besides Apps & Games, There are Wallpaper and Video Sections separately built with extreme Care, keeping user’s interest mind. MoboMarket also has the Point system available for which you can use to gain points and then Redeem Prizes. Additionally, There is a Forum/Community section integrated into the latest version of MoboMarket, to allow users to speak their minds and share what they love. READ MORE What does Article Submission Mean and How it is Useful to Boost up your Page Rank? And Enter into the new, improved Android market. 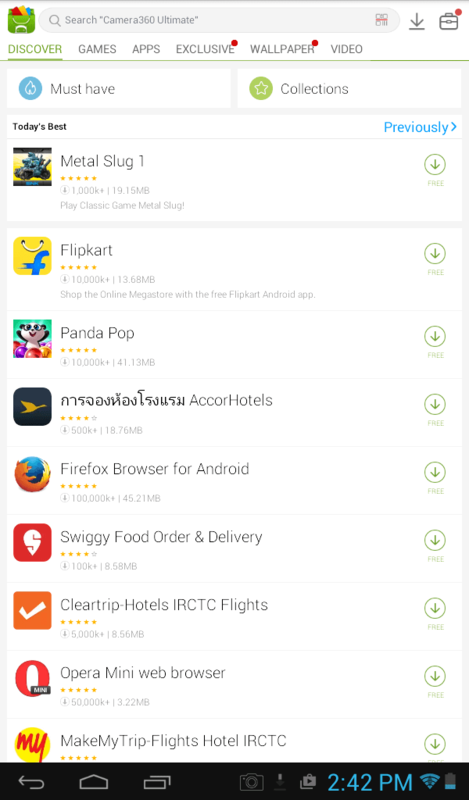 After Downloading MoboMarket, you must head over to these sections of the App. This Section will give you best Apps & Games of the Day. If you are one of those, who like to install selective apps or the apps which you only require, then you can head to “Must Have” section and can install only the applications, which are popular. 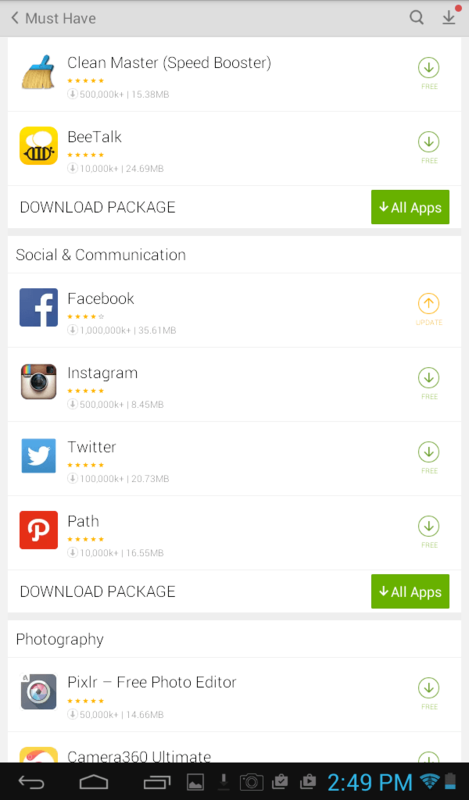 You can download each app one by one according to your need or you can also install the full package. 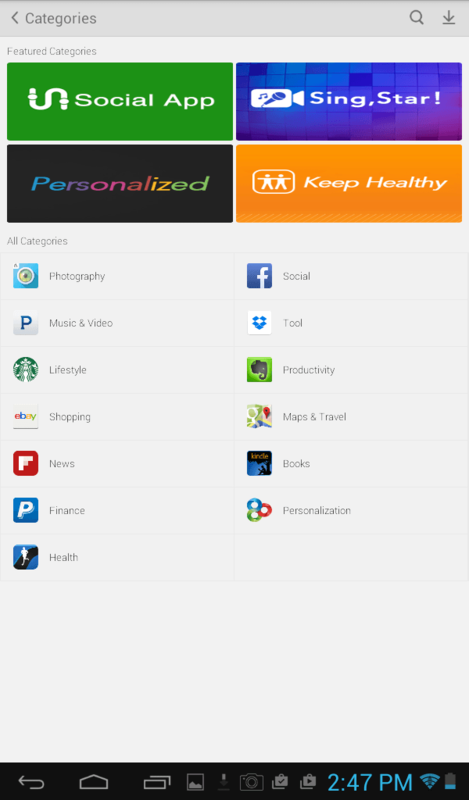 This section will give you a full variety of Apps, from which you can choose, which you need for your smartphone and which you don’t. If you are a games Geek, then you are going to love this section for sure. It has many quality games available for your smartphone. There is a wallpaper section, where you can find amazing HD wallpapers, no matter, what your liking’s are, you will get all types of wallpapers. 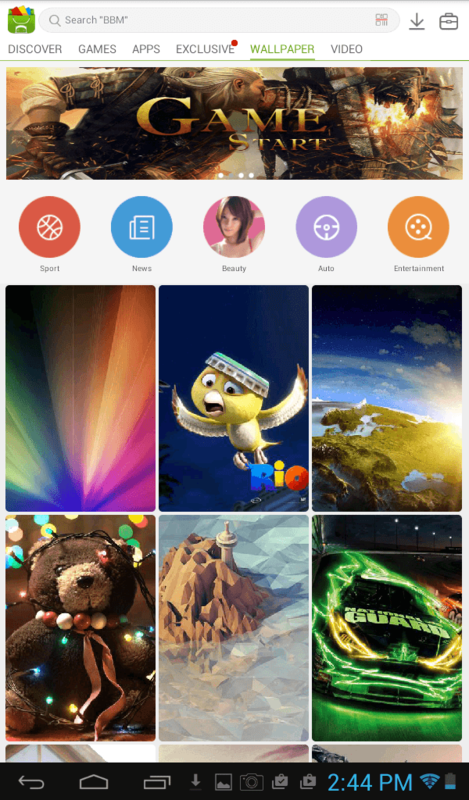 All the Apps, Games have been divided into multiple categories to make it easier for you to find the Application, which you want. This Tools Area will give you Number of Options to customize this Android Market Application according to your need. You will have the option to Optimize Memory and Improve the performance of your phone as well as you have other settings Auto Update, Parental Control, etc. 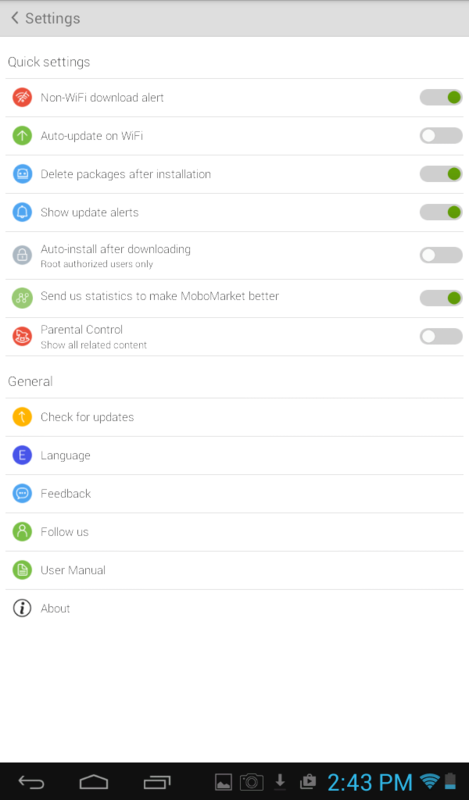 So, if you are looking to have quick access to a large base of Apps and Games, then you must Download MoboMarket on your Android Smartphone. In the end, if you have any question or query, feel free to ask via comments.